© COPYRIGHT 2008-2016 VIOLET BANKS ALL RIGHTS RESERVED. Powered by Blogger. 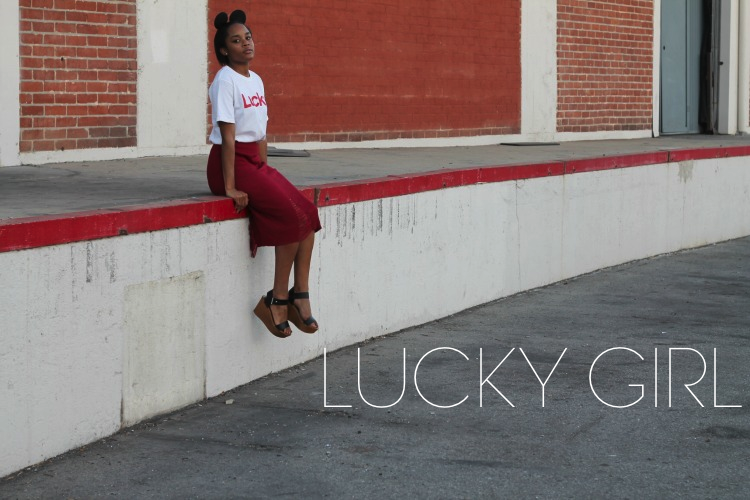 I can't tell you how many times I heard "Hey Lucky" wearing this shirt. Well actually I can; it was a total of 4 times. Which isn't much but it's a lot for one day and all before noon. But the phrase is kind of true. If you know me you know that I have a habit of winning things. This tee is apart of my most recent luck related acquisitions. 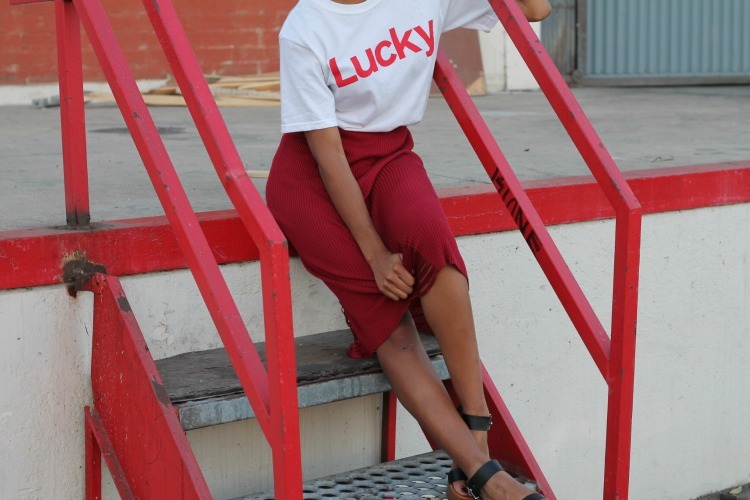 Lucky Magazine was giving away a handful of their signature shirts and after seeing them floating around Instagram styled by their editors I decided to throw my hat in the ring. One DM from Lucky and red skirt later and we have this post. I know it's all a bit matchy-matchy but I wanted it to playful.... hence the mouse ears. The magazine is such a stylish and fun brand (especially due to the lovely Eva Chen... Have you seen her Snapchat?) so I wanted to do the tee justice. To me this has that "Lucky" feel. If the weather had been a few degrees lower I would have added socks! 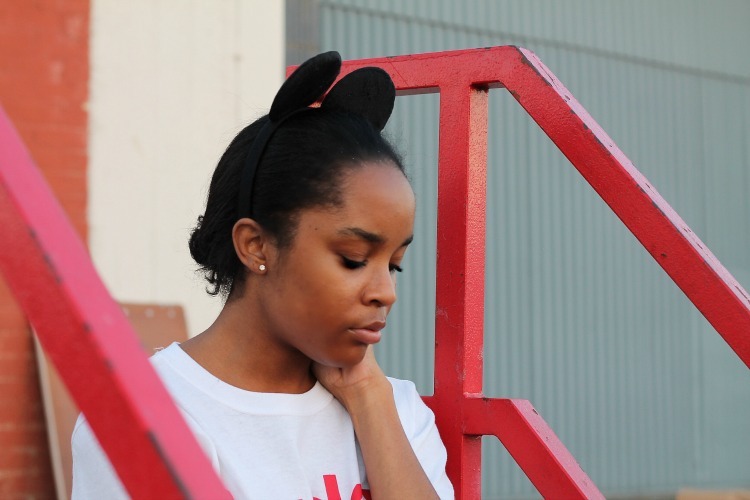 Violet is a Los Angeles native blogger who specializes in fashion, beauty and visual production.